We are very excited to cover Muswell Hill and finally offer the dog owners of N10 a proper doggy daycare option for their best friends! 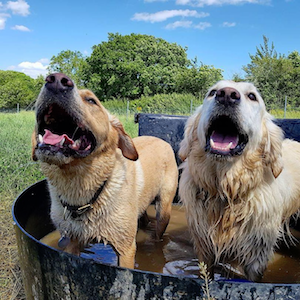 Gone are the days of having to send your dog or puppy to a dark and tiny building to be cooped up for the day, Buddies will whisk them a short ride out to 16 acres of adventure, fun, play and exercise. Your dog will have the time of their life and you will get a tired and happy pup at the end of the day- what could be better? !